Let’s see the viewership of the so called Major n Minor Pageants. Let’s start with the country who is considered having the best fans of beauty pageants. Miss Universe 2018: 28.7% >>> This is ridiculous, seems like Catriona Gray just sealed the real deal, Miss Universe is the only powerhouse of beauty pageants. 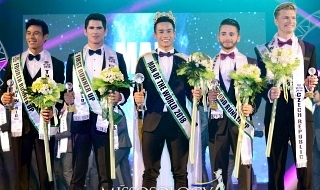 Miss Earth 2018: 5.7%>>> Is this real? 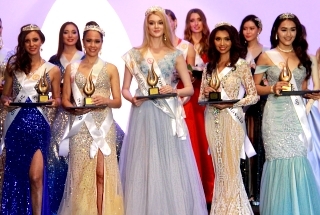 Miss World 2018: 3.7% >>>Wow! Considered top 2. Miss Intercontinental 2018/2019: 10.1% >>>Entering the Big 5. Is there really big 5 or just a myth. I think there is only Big 1 and the rest. just stating facts not trying to trigger anyone. Anyone who hates the truth will live the misery of lies. micoexpress5 wrote: Let’s see the viewership of the so called Major n Minor Pageants. Miss Earth's number is definitely real... brought about by changing network, haizt... ME is even very lucky they got that number actually. GMA is known to flop the ratings in almost all of its programs, especially those non-regular shows just because ME's old network, ABS-CBN, hogs them all for itself. I wonder how the other claimed big 5 fair in terms of viewership. Had Miss Earth aired on a daytime slot rather than a very late night slot, it might still get the same TV ratings from last year since the Pacquiao fight can still get good TV ratings from the daytime slot. 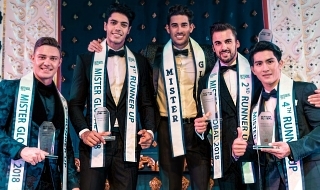 Miss International 2018 rating ? It will be exciting to know MGI rating! I agree ! Miss Universe 2018 just trashed the pretenders ( Big 5 lol ) into oblivion. Partially agree with you but also the aftereffects of it since it was aired 24 hours after Miss Vietnam was crowned Miss Earth versus 11 hours after Miss Philippines was crowned Miss Intercontinental. Also Miss Intercontinental did not aired on Fox Life, so there is some advantage to it. micoexpress5 wrote: It will be exciting to know MGI rating! no rating on FB live! Just Facebook... that’s messed up!!! Even in Thailand? Who will watch the 24 hours late telecast of GMA, allotted in a very late show for Miss Earth? Everybody saw it already on youtube and on Cable Channel. If it will be aired live, the rating might be near to Miss Universe. However, ME preferred to have a live telecast in other countries rather than her in the Philippines. Plus the GMA is your partner media, it would be better if partnered in ABS. But the production is so much better though. zoondwaine wrote: Who will watch the 24 hours late telecast of GMA, allotted in a very late show for Miss Earth? Does everyone have WiFi n cable? But almost everybody has a smartphone with free facebook. Why wake up late at night to see the late telecast when you already knew who win. Just wondering why it’s delayed telecast....if they know they will draw big viewership n make money >>> then go live right.